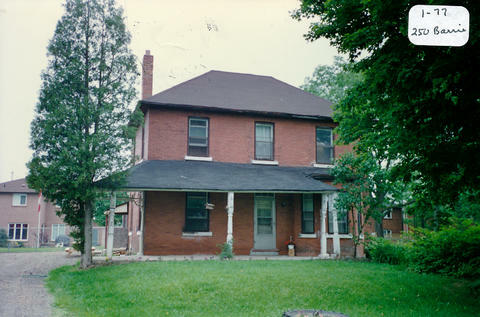 The Stoddart House is located at 250 Barrie Street. It was built around 1870 in the Eclectic Neoclassical style. Some of the early settlers in the Bradford area were members of the Stoddard/Stoddart family. John Stoddard settled along the Bond Head Road in 1829. In later times, Major George W. Stoddart was the reeve of Bradford.